You are here: Home / Blog / Why Are Fairytales “Girl Books”? When did fairytales end up being for girls? Is this something the Disney Princess marketing juggernaut created or something it just cashed in on? A quick tangent: As a mom, a teacher, and a book reviewer, I twitch a little when I click the “Boy Appeal” or “Girl Appeal” button to categorize a book on this site. 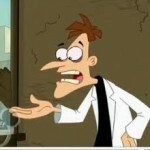 “Well then why do I even have that button?” you might ask (and I’ll be happier imagining it asked in Dr. Doofenshmirtz’s voice). Because it’s sort of useful as a general categorization, and for better or worse, some books are aimed squarely at either girls or boys. I don’t use it all that much, and if I’m honest, I use it only as it relates to boys. If a book seems to make no accommodation whatsoever for a male reader, I mark it “Girl Appeal.” If a book has a girly look to it or a female protagonist but really might also appeal to a lot of boys, I mark it “Boy Appeal.” In a quest for some kind of parity I can’t actually defend, I also mark stereotypically boyish books as “Boy Appeal” but I can do that feeling fairly certain that few girls will be chased off by that designation. And lots of books get marked both “Boy Appeal” and “Girl Appeal” which makes you wonder why I bothered. Anyway, I bring that up because we seem to have this need to have boy books and girl books, but it’s inherently problematic to try to split books up like that. That’s probably a rant for another day. To get back to my original rant, I don’t understand how fairytales came to be so very strongly in the girl book category. I have my suspicions and they all have to do with selling princess stuff to little girls, but that’s still doesn’t seem to quite explain it. So why are fairytales the realm of girls? 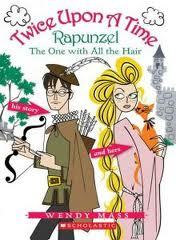 Almost all of the fairytale retellings clearly target girls. And some of them really are about princesses and balls and romance and pink castles in the clouds, and that is all very stereotypically girly. But a lot of them have wonderful male and female characters, and a sense of humor, and sometimes cyborgs or demons or dragons. In other words, they’re great stories for kids who like fantastical stories. Now, my boy isn’t too stereotypically boyish. He’s headed more toward the longhaired poet with a guitar, or maybe the mad scientist, than he is toward quarterback of the football team. With a slightly older sister, he’s embraced some things that might send a less secure boy screaming from the room to go blow up some virtual bad guys. But I don’t think even he would have touched a book with this cover—the same book that he enjoyed, that made him laugh out loud. What is the purpose of closing this book off to boys? Why, oh why, are fairytales only for girls? When there are numerous studies about how it’s hard to get many boys to read, when parents and teachers everywhere search for engaging books, why ensure that half the potential readers wouldn’t touch this clever book with a ten foot pole? I understand the appeal of rereleasing a book with a new cover. Yes, we do judge books by their covers, and you can reach new readers by presenting a new image. But was it really impossible to design a cover that wouldn’t alienate boys? To design a cover that would hint at both clever characters within? 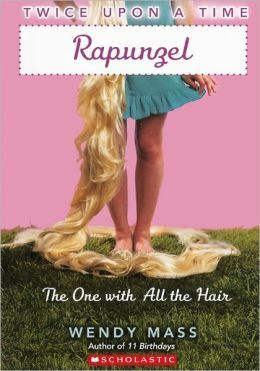 I want to cover this book in brown paper, so maybe at least a few boys will discover the fun that is Rapunzel: The One With All the Hair. Even though, apparently, fairytales are for girls. While collecting the images for this, I came across a third cover. It bothers me less that the PINK one and it appeals a lot more to my daughter, but it still leaves off the prince and, inexplicably, Rapunzel is still missing an actual head. Just hair. No head. Make of that what you will. (And here’s a article that makes a lot of the headless girl cover trend, as well as other disturbing trends in book covers aimed at young female readers.) For the record, my daughter’s favorite cover is the first one—the one with both characters and their heads. Agreed! I wish covers were less girly. Why so pink? At the same time, it’s also sad that authors need to hide their feminine names or feel the need to have boy heroes b/c girls are willing to read about boys on epic quests, but boys often aren’t willing to read about girls. We still have a lot of double-standards going on in children’s lit. As the mom of a boy and a friend of parents of many boys, I think people overestimate the extent to which boys are turned off by female heroes and female authors – I think this stereotype is inadvertently perpetuated by adults making assumptions about what boys will and won’t like, and perhaps allowing a few vocal boys to solidify those assumptions. If we stopped gendering books so much, people might be surprised by what actual real life boys would enjoy! When I was a teacher, having to choose a “boy book” for the class read really bothered me, but I was told that girls would read anything and boys would only read books designed to appeal to them. But with shorter stories (which I typically didn’t have to run past other people before reading with the class) we covered all kinds of stuff, including fairy tales, and the boys were as engaged as the girls, which is to say most but never all of them. I fear we let a few unengaged boys confirm a bias that they won’t ever read books about female characters. I too have mixed feelings about classifying books as strictly boy or girl. And yes I definitely think girls who don’t like action and suspense are definitely getting the short end of the stick in assigned reading these days. At the same time, I think my daughters have more to pick from than my son when it comes to reading material. So I guess what I’m saying is we need them all. 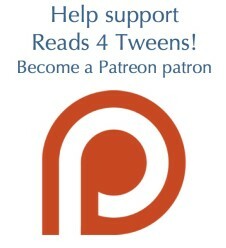 We need girl books and boy books and un-classifiable books to hit all the readers. Oops! Of course the books I read had main characters. I meant to say that when I was young I refused to read any books that had main characters who were boys. 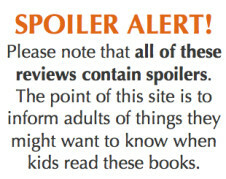 Yes, I totally agree that we need lots of different kinds of books so something will appeal to every kid. 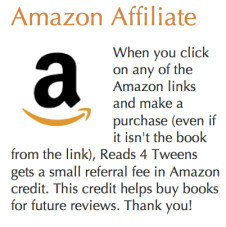 I know lots of, especially, little girls who would love Miri (here’s the review: http://reads4tweens.com/miri-attwater-and-the-oceans-secret/) and not nearly as many boys. And that’s totally fine. In fact, it’s great for the kids who adore mermaids and want good stories about them. And finding ways to draw girls to science is a great plan, and sometimes pink and sparkles work well for that (as long as the science within isn’t then dumbed down compared to comparable non-gendered or stereotypically boy books). 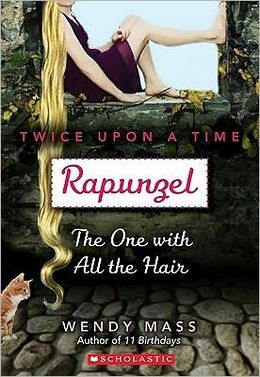 What bothers me is the exclusion for no apparent reason but marketing – lots of fairy tale retellings are pretty stereotypically girly, and that’s fine. But when the book itself would appeal to both, but the cover slams a door in a boy reader’s face, that really bothers me. This happens to girls, too, although it seems like it most often happens with toys – all the commercials show boys playing with the toy, like no self respecting girl would touch it. My girl, especially when she was younger, loved pink and princesses and girly things – and I wanted to be conscious of not making her feel like that was bad, because it’s part of who she is. I think in our quest to minimize stereotyping and pigeon-holing, we need to be careful not to tell girls who like mermaids, princesses, pink, and sparkles that they’re somehow not as good – that goes against everything we’re trying to do.